Our longevity in the community and the feelings of our students speaks to the enduring value and quality of our presence in the community. We are still here because our students appreciate and value the training and community found here. To all of the parents and students that have provided valuable feedback and support through the years: "Thank you, as always, it remains both a pleasure and a privilege to serve you." “Our son, Sam Monroe, has been studying martial arts with Sifu Chris Boyer for over 10 years. Without a doubt, this has been the most important investment we have made in Sam's future. Sifu Chris is his teacher, mentor and life coach. Becoming a skilled martial artist has strengthened Sam's confidence, focus and achievements in all aspects of his life. The AMMA experience and community were particularly valuable during his teen years. Instead of rebelling, Sam focused his energy on academics, sports and building strong friendships. “Two and a half years ago, I was introduced to the Academy of Modern Martial Arts. My job takes me around the world, and to some dangerous places. Places where terrorism and attacks on Americans were becoming more common. While always in pretty good shape and generally athletic, I decided to look into self defense classes as a way to learn to further protect myself. I had always had a passing interest and besides I figured, what could it hurt to check it out? Living in Lake Oswego, I had seen the Academy but actually it was through an internet search that I obtained the initial information and decided to give them a call. When I phoned up, I spoke with Sifu Christopher Boyer, who gave me a general overview and invited me to come in and discuss the various programs available and take a free lesson. What impressed me right away was the down to earth, practical approach to self defense described by Sifu, and the flexibility of plans and schedules to accommodate my situation. But beyond that, there was a certain quiet confidence and presence that I felt talking to Sifu. I decided on private lessons as this worked best for my hectic schedule. What I expected was to learn some basic physical self defense skills that would help me protect myself. What I have actually received however, was something quite different. Yes, I have learned self defense and fighting skills. 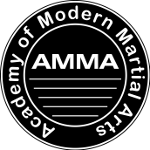 AMMA teaches self defense skills from a variety of disciplines and combines them in a way that has been proven over time to be the most effective. And they teach the fundamentals with a systematic training regimen that emphasizes mastery of one level before progressing to the next level. But what I did not expect and could not have foreseen, was the integration of the mental and spiritual side of martial arts and the amazing sense of community that this organization inspires. One thing that impressed me from the beginning was the respect and camaraderie that characterizes the students at AMMA. They genuinely care about each other. When I was greener than new grass, and sparring for the first few months, my partners knew how to take care of me and yet push me at the same time. They not only modeled the physical techniques, they exemplified the spirit of what AMMA tries to teach. The more advanced students teach just as the instructors do. They coach and critique and encourage. There is no status of levels here. There is no ego here. Black belts and white belts have the same level of enthusiasm and respect. 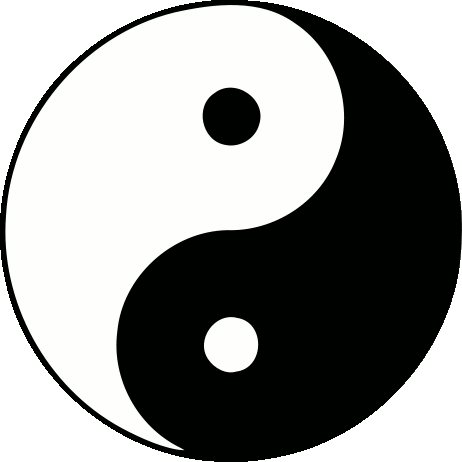 What people who are not familiar with martial arts usually don't understand is that to follow the true philosophy of what constitutes these disciplines is that there is at least as much focus inward onto the state of mind and mental skills required at the different levels as the physical side. The classroom becomes a crucible where to be effective, the mental and spiritual side of the person count for just as much as perfecting the physical skills. And the result is that, with the right focus and with the right practice, this sport - this discipline - changes how you think, feel and interact with the world. It gives you power and control you did not possess before. Each day you practice these techniques, it brings you that much closer to what we all truly desire - self mastery in all parts of our lives and a greater engagement with the world.